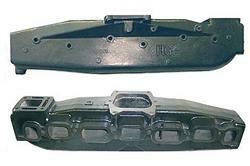 Fits 250 and 292 cu in GM in-line six cylinder engines. Replaces Mercruiser # 58759 (not A11). Includes mounting kit with gaskets and fasteners. Shipping weight is 80 lb.